As I was walking around a particularly magnificent looking Corkscrew hazel tree (Corylus avellana contorta) at the weekend, I noticed a number of hazelnuts scattered around its base. Usually, the squirrels beat me to the harvest, but for some reason, this year, they'd left quite a haul for me to collect! 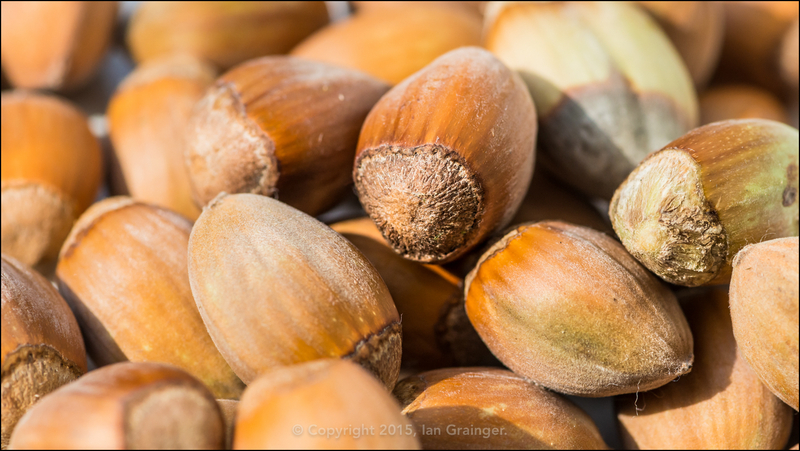 Nuts, whole hazelnuts! Cadbury's take 'em and they cover them in chocolate! The problem is that now I can't get the damnable tune out of my head, and it's driving me half crazy!